As a family vehicle, this van is perfect. It seats 7 and all rows of seats push button stow for easy loading. We even once transported a twin bed with no problems! Once you sit behind the wheel, any thoughts of "not wanting to be a soccer mom" go out the window because it is pure luxury and comfort for all members of the family. Sorry, we couldn't find any Chrysler Town & Country listings that matched your search criteria. Here are Nationwide listings for a Chrysler Town & Country. 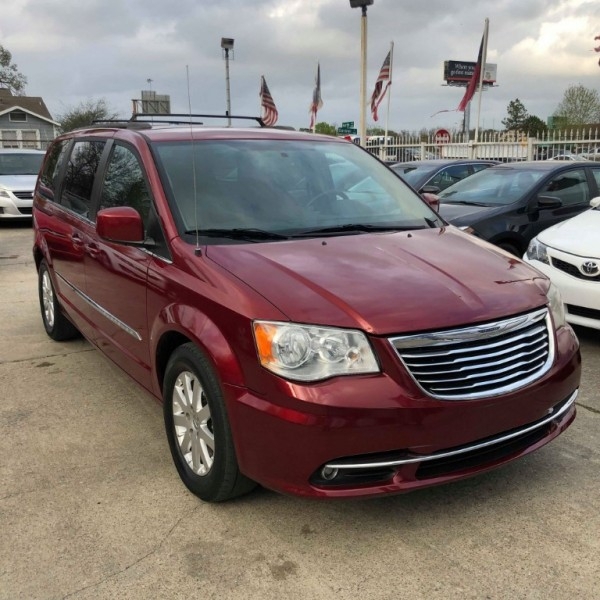 Here are our listings for all model years of the Chrysler Town & Country. You might be interested in these similar years for Chrysler Town & Country. Avg. Dealer Rating: (12 reviews) "Very nice people Gary Tripp was excellent. " Avg. Dealer Rating: (12 reviews) "VERY HELPFULL AND FOUND A CAR FOR ME"
Avg. Dealer Rating: (18 reviews) "Friendly and helpful. " Avg. Dealer Rating: (3 reviews) "I was so happy with my car buying experience with Leonard Evans Car dealership. I would definitely recommend them!!" Avg. Dealer Rating: (5 reviews) "very friendly polite and patient with our situation "
Avg. Dealer Rating: (39 reviews) "The dealer was very responsive to my questions. Unfortunately the car sold before I got a chance to make it to the dealership in person." Avg. Dealer Rating: (1 review) "The owner was a gentleman, negotiable and a pleasure to work with. It helps when you know what you're looking for and what it's worth. " Avg. Dealer Rating: (212 reviews) "Awesome, bought the car from them, streamlined process! "